What are Startups--A Legal Definition? On January 16, 2016 the Honorable Prime Minister of India formally launched an initiative ‘StartUp India, StandUp India’ by announcing action plans to support early stage startups. It is indeed a historical day that recognized the contribution of innovations, startups and entrepreneurship culture in India. The startup story in India has been simply mindboggling. Flipkart has redefined the Retail. Ola has changed the way we commute for business or pleasure. Paytm is changing the way how consumer transacts. BigBasket is changing the way housewives shop using mobile app. Nowfloats is targeting small business to sell goods and services online. OyO is sign that we see at 5-star hotels as well as a small house having a spare room. These are just a few Startups changing the way we do business in India. In 2015, the Investors pumped US $9 billion into Indian startups and have continued investing over $38 million in the first 10 days of 2016. After US and UK, India ranks third in the world for the number of startups. A very supportive Government came out with number of sops for Indian startups. Important sops includes, tax exemptions for three years, concessions on capital gains tax, compliance simplification, self-certification, no regulatory inspection for three years, a Rs. 10,000 crore fund to back startups, 90 days to close down a startup, 80 % reduction in patent filing fee, and also a mobile app to be launched on April 1 making it possible to register startups in one day. The Honorable Prime Minister was quick to point out that the startup package is commitment of ‘Minimum Government with Maximum Governance’. It is not interested in licensing a startup, but providing support and funding, where ever necessary. A visibly excited startup industry has welcomed the announcements with a big applaud. 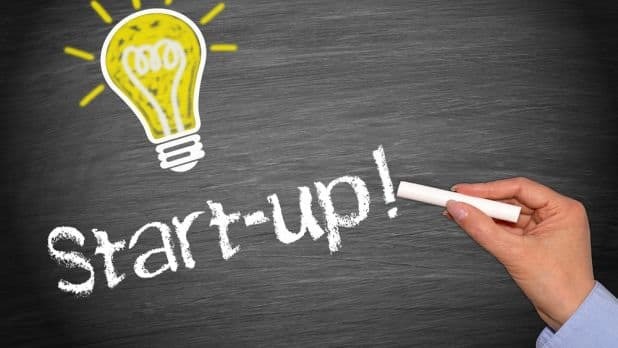 While we are still celebrating the announcement of huge Incentives for Startups, a phone call from a noted law-publisher friend made me realize the daunting task faced by policymakers and bureaucrats in legally defining what constitutes a “Startup”. He wanted to know if he could convert his 13-year old Law-Journal into a mobile application and add a few search functionalities to the platform to make it compliant with technology innovation. He further stated that he could do business under a newly incorporated entity, and can easily shift the existing customer base to this new entity. Without a doubt, this law-publisher was not trying to do anything illegal. He merely wanted to restructure his business to avail benefits announced by the Government of India on Startups. My follow ups with colleagues at Department of Industrial Policy and Promotion (“DIPP”), NASSCOM and directly to a few heads of startups did not yield any positive result. Everyone had their own definition of just what a startup is, and nearly everyone seemed to be wrong. The problem is that there's no global definition of startups. Most countries would define a startup with parameters such as age, growth, revenue, profitability or even stability. Is Uber (valuation of USD 50 billion, having operations in more than 300 cities worldwide) a startup? Is Zomato (operations in 23 countries, nearly 2500 employees and more than USD 250 million of funding) a startup? The essence of startups is generally related to the concepts of technology, innovation, scalability, and entrepreneurship. Many of the world's largest technology companies, including Google and Facebook, still consider themselves to be startups in one sense or another. Indeed, they see being a startup as more of a state of mentality of innovation and problem solving for masses. Startups – a proposed legal definition. market capitalization of less than Rs. 100 crores. A startup status can be given to any kind of entity- it can be a company, LLP, Partnership, Section-8 not-for-profit, Society, Trust or even proprietorships. The annual profits, revenues, employment, market capitalization, patent filings are all measurable and can be supported with paper-evidence and proof -- Indian bureaucracy likes this. This Startup definition will require startups to solve a problem that caters to India. Many startups may have market exclusively outside India (for example a call center), and such Startups cannot be eligible to seek Incentives from Government of India - funded by Indian tax payer’s money. This definition will also keep away several “Pop and Mom” shops that are incorporated on daily basis. The “Pop and Mom” shops will not be to show unique use of technology to deliver products, services or solutions across India. The requirement of “unique use of technology” can be proved by an entity filing a patent application for it’s new ideas and technology. And therefore, complements Indian Government goals of increasing patent and IP filings from India. With this kind of definition, Startups will be now required to increase patent filings and reap the long term benefits of its ideas and innovations. A right way to legally define a “Startup” will go a long way in encouraging genuine startups to take advantage of benefits announced under the Startup-India program, and also to unleash the power of innovation, technology and ideas among deserving entrepreneurs of India.